The incidence of colorectal cancer (CRC) is highest among the elderly. An important treatment modality is surgery. After surgery, due to poor functional recovery, some elderly have an increased risk for complications and prolonged length of hospital stay (LOS). Preoperative elevated levels of fatigue and impaired functioning in instrumental activities of daily living (iADL) might be associated with these outcomes, and may, therefore, be helpful to recognize patients with elevated risk for complications or prolonged LOS, who should undergo more thorough functional assessment. 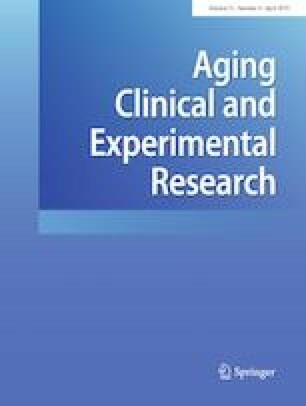 This exploratory study aims to assess whether physical fatigue, reduced activity and/or iADL, assessed preoperatively, are associated with postoperative complications and prolonged LOS, in elderly patients undergoing surgery for CRC. We performed an exploratory prospective study in older (≥ 65 years) patients (n = 57) who were scheduled to undergo elective surgery for colorectal cancer. Fatigue and iADL functioning were assessed with questionnaires. Multivariable regression analyses were used to examine the relationship of fatigue and iADL with complications and LOS. IADL was not associated with complications or LOS. Fatigue was not associated with complications. Patients with higher fatigue had increased LOS in the univariable analyses but not in the multivariable analyses after adjustment for nutritional status and neoadjuvant treatment. We found that fatigue was associated with increased LOS in the univariable analysis. The results from the multivariable analysis and path analysis indicate, however, that this is likely not a causal relationship; the observed relationship between physical fatigue and LOS appears to be confounded by nutritional status and by having received neoadjuvant treatment. Although fatigue is a predictor for increased LOS, assessment of fatigue and iADL has no additional value for identifying elderly at risk for poor functional outcome after CRC surgery. This work was supported by the Netherlands Organization for Scientific Research (NWO) under Grant number 023.006.012. Approval for this study was obtained from the Medical Ethical Committee of the Netherlands Cancer Institute. All the procedures performed in this study were in accordance with the ethical standards of the institutional and national research committee and with 1964 Helsinki Declaration and its later amendments of comparable ethical standards.